NAGS HEAD, N.C. — It’s a familiar scene in the coastal town of Nags Head, North Carolina. Men, women, and children filling sandbags, covering windows with plywood, and securing lawn decorations. 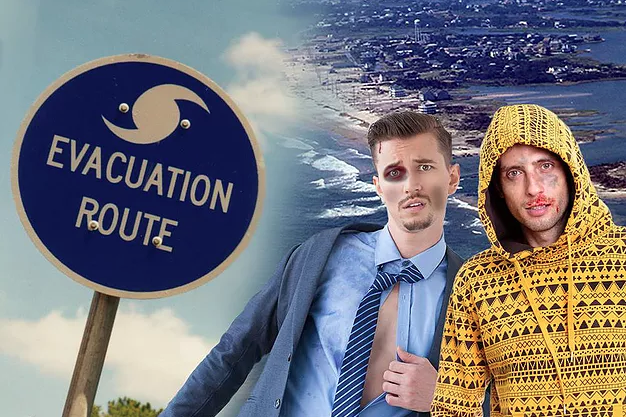 Every year these same preparations are made as the townspeople await the finalization of the official evacuation plans they will follow to make their escape before the annual “RVA Beach Week” descends upon them. Other residents are seasoned veterans of this occurrence and have learned to be less optimistic. In this time of impending terror the township does what it can to protect its residents and their property. Every year the county government gives new consideration to which roads to close and spends money trying to develop a sign that visiting tourists will actually obey in order to protect sand dunes and homes. The town expects to have their evacuation plan completed on time this year, giving the population two full weeks to execute it. If past years are any indication, residential escapes will begin with those closest to the bottom of the peninsula and then slowly move north across the town. Last year the town reported a 95% desertion rate and hopes to exceed that number this year.